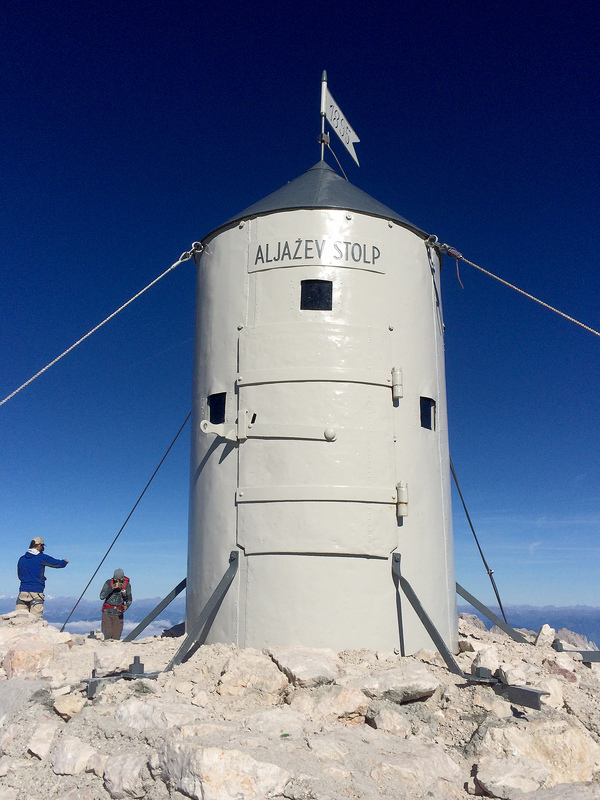 The Aljaž Turret, a monument of national importance (heritage register number 5531) and one of the most recognisable Slovenian national symbols, was under a full-scale renovation in September 2018. For the past 123 years, the tower has been exposed to extreme weather conditions and has lived through many trying historical experiences, notwithstanding the poor treatment it has received from its growing number of visitors which has contributed to the urgency of a restoration intervention. At the IPCHS Restoration Centre, we designed a renovation plan in collaboration with colleagues from the National Museum of Slovenia, that will ensure that the tower will be preserved for future generations. The renovation work started on the 7th of September and was completed on the 3rd of October 2018, when the Aljaž Turret was returned to its rightful home to the top of Mt. Triglav.